Our call to sacrificially submit ourselves to others does not begin with our sacrifice, but with God’s blessings. The actual grammatical construction of this statement is more accurately translated when all the “if”s changed to “since”s! We are called to unity in spirit and purpose after having received all these blessings from being in Jesus! 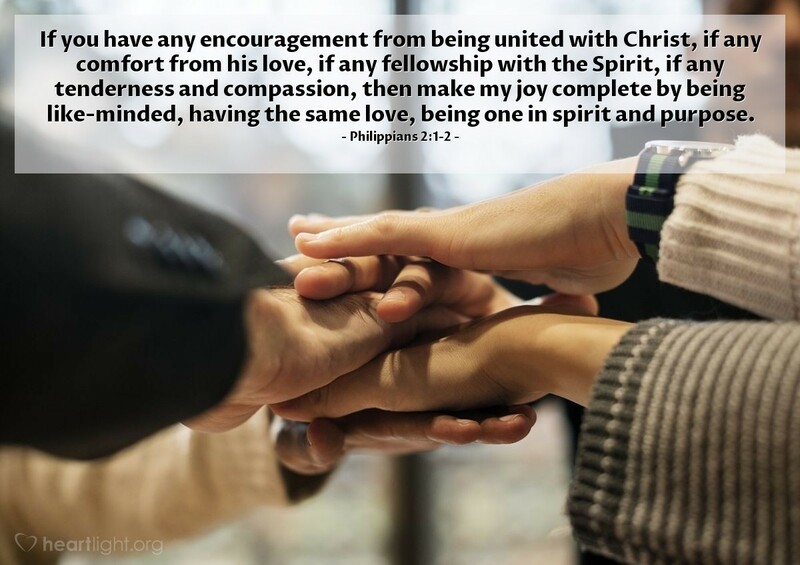 We are encouraged by being united with Christ. We are comforted by his love. We do share in fellowship with the Holy Spirit. We have received tenderness and compassion. So how can we not share those with our Christian family and find a way to live together in his Kingdom in harmony?